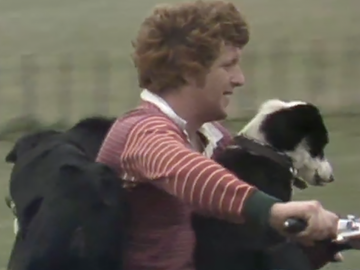 Competing canines on primetime TV invoke memories of the heyday of A Dog's Show in this TVNZ series. 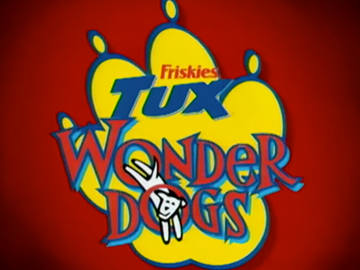 Tux was presented and produced by dog lover Mark Leishman, with his faithful golden Labrador companion Dexter (until the latter's death in 2000). Jim Mora provides a genial and pun-filled commentary as obedience tests and obstacle courses challenge the teams of dogs, and exasperate (and occasionally delight) their owners. Titbits come in the form of dog lore and trivia, advice from pet psychologists and canine funniest home videos. After adapting the slimy transmogrifying Wilberforces of Maurice Gee novel Under the Mountain for the small screen, scriptwriter (and future sci-fi novelist) Ken Catran returned with his own tale of kids and extraterrestrial contact. The series follows holidaying teen Gretchen (Sarah Dunn) trying to unravel the mystery of a weathervane — a "daisy rod" which seems to have otherworldly powers — and curious objects found in a tapu swamp. Backing up this girl-power sci-fi adventure are Catherine Wilkin, Roy Billing and Utu star Zac Wallace. Bryan and Bobby are not your average police team. 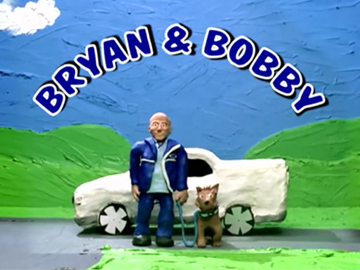 Bryan is real-life constable Bryan Ward; Bobby is a curious talking puppy. The two use humour and everyday situations to encourage children to make good, safe decisions for themselves and those around them. The duo made their screen debut on TV3. Since then they have been seen on TV, DVD and the internet, and used in educational resource kits. Their safety messages have won thousands of pint-sized fans during visits to primary schools. 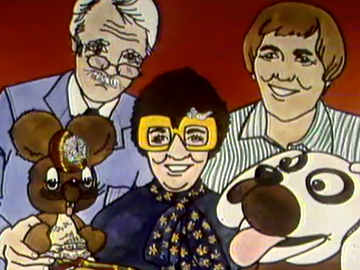 The show was created by Ward and children's TV veteran Suzy Cato. This 2012 comedy series follows city slicker lawyer Will (Toby Sharpe) who inherits guardianship of his half-sister Lily, a stately house, a greyhound (the notoriously named Lundydixonwatson) and its live-in trainer Marty. 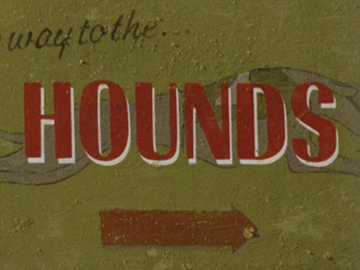 Will’s life goes to the dogs as he enters the low-rent world of greyhound racing. The downlowconcept production won wide acclaim; On the Box’s Chris Philpott thought it New Zealand's best scripted TV comedy to date, as did the Herald's Chris Schulz. Hounds won Best Comedy at the 2012 NZ TV Awards. The six-part season screened at 10pm Fridays on TV3. 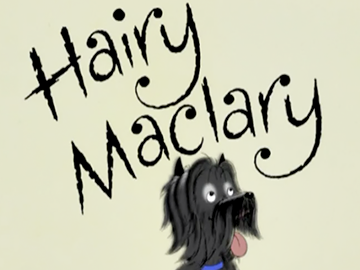 Hairy Maclary is a 10-part series adapted from the beloved children's books by Lynley Dodd. 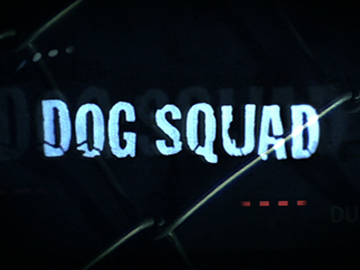 Animated by Euan Frizzell, the animated episodes follow Hairy and his canine mates (dachshund Schnitzel von Krumm, dalmatian Bottomley Potts and Old English Sheepdog Muffin McClay) on their Kiwi seaside adventures: from a rumpus at the vet, to the rescue from a tree of Hairy's tomcat tormenter ... Scarface Claw! Miranda Harcourt narrates, conveying the rhythms of Dodd's prose which have seen the stories sell several million copies around the world. Infamous, short-lived, and arguably unfairly maligned, The Neville Purvis Family Show was hosted by the occasionally foul-mouthed and very Kiwi Neville Purvis — in reality, writer and musician Arthur Baysting (Sleeping Dogs). The series is best known for containing possibly the first use of the f-word on New Zealand television. 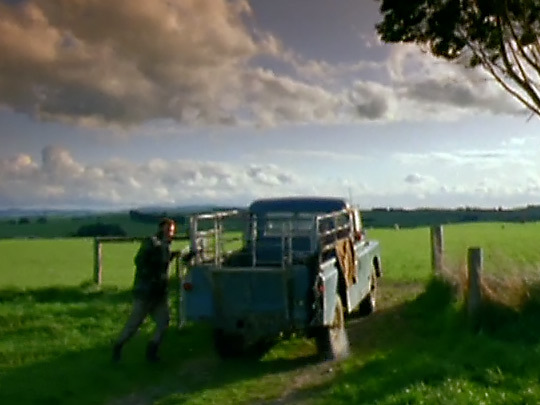 The full episode containing the controversial utterance has likely been lost; surviving material from the show includes appearances by PM Rob Muldoon, actor Marshall Napier as Neville's mechanic mate, and Limbs Dance Company. 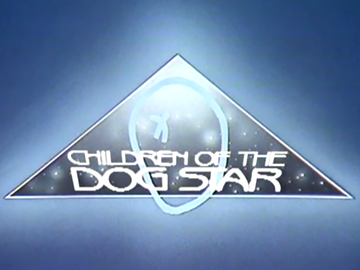 One of two much loved children’s shows written and presented by English born entertainer Chic Littlewood in the late 70s and early 80s. The other was Chic-a-boom — and more than 500 episodes were made of the two programmes in what now looks like a much gentler era of children’s television. Littlewood was aided and abetted by various puppets including Nowcy the Dog and the McNabb family of Scottish mice (including the mischievous and contrary Willie). Assisting with the puppets was actor, and stalwart of Auckland theatre, Alma Woods.